LOS ANGELES—Noting that new rules and increased athleticism have transformed the NFL, former quarterback Troy Aikman warned fans Wednesday about comparing today’s concussions to the brain injuries from earlier NFL eras. “It’s just an entirely different game now. Sure, there are guys doing incredible harm to their brains today, but you can’t compare it to the debilitating damage players suffered in the 70s and 80s,” said Aikman, adding that there was no way to compare the strength of modern concussions until players’ brains degrade with neurodegenerative disease over the next few decades. “Some might say Terry Bradshaw had the greatest concussions of all time, but there’s really no way to compare them to the brain injuries of Peyton Manning or Ben Roethlisberger. Can you say Joe Namath would have had the same concussions if he were being hit by people like J.J. Watt? 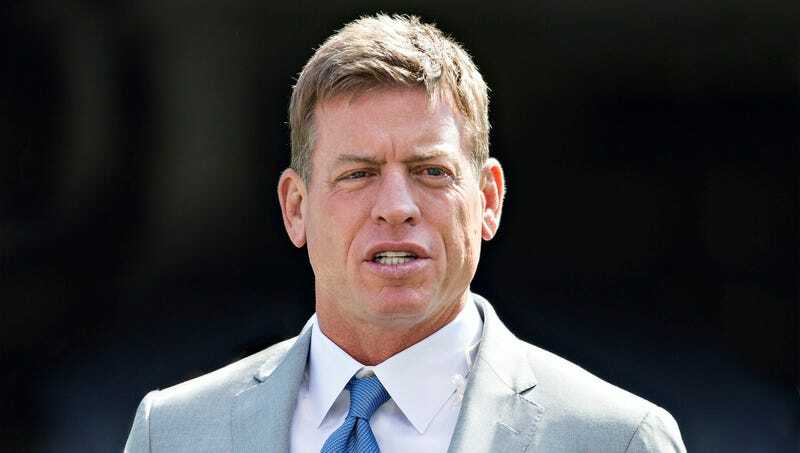 The NFL is looking at a whole different kind of head trauma now.” Aikman added that in another concussion era, he might have won eight Super Bowls with the Vikings instead of just six.